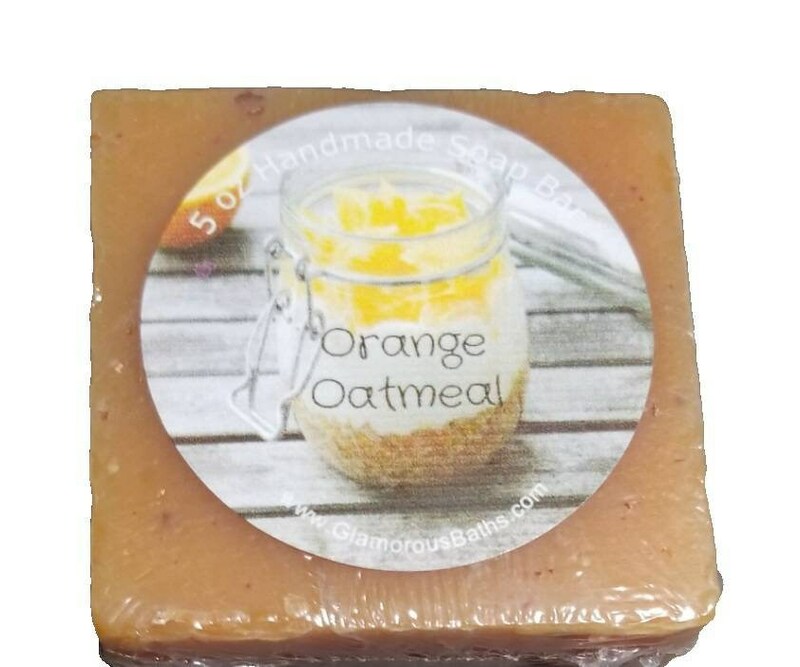 Our Orange Oatmeal Naturally Sweet and Exfoliating Face and Body Bar is a wonderfully fragrant bath soap. With the scent of sweet oranges, and the gentle exfoliating of ground oatmeal, this is a wonderful soap. A perfect gift, our cold process soap contains skin hydrating ingredients to help keep the roughest skin hydrated, detoxified, and smooth.